Addendum: John Woodmorappe has published a detailed study demonstrating the fallacy of radiometric ‘dating,’ including the ‘high-tech’ isochron method: The Mythology of Modern Dating Methods (El Cajon, CA: Institute for Creation Research, 1999). 附录：约翰·沃德莫拉普发表了一篇论文，详细地论证了放射性“测年”法的谬误，其中也论及“高科技的”等时法，论文题目叫做“现代测年法的神话” （The Mythology of Modern Dating Methods, El Cajon, CA: Institute for Creation Research, 1999). A. Austin, Mount St. Helens and Catastrophism, Proceedings of the First International Conference on Creationism, 1:3–9, ed. R.E. Walsh, R.S. Crowell, Creation Science Fellowship, Pittsburgh, PA, USA, 1986; 浅显文章参见K. Ham, I got excited at Mount St Helens! Creation 15(3):14–19, June–August 1993. Don Batten, Sandy stripes, Creation 19(1):39–40, December 1996–February 1997. 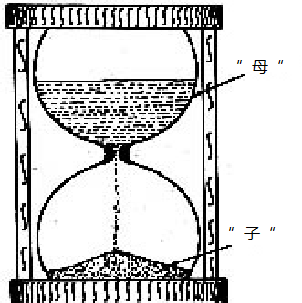 Julien, Y. Lan, and G. Berthault, Experiments on Stratification of Heterogeneous Sand Mixtures, Journal of Creation 8(1):37–50, 1994. Berthault, Experiments on Lamination of Sediments, Journal of Creation 3:25–29, 1988. A. Makse, S. Havlin, P.R. King, and H.E. Stanley, Spontaneous Stratification in Granular Mixtures, Nature 386(6623):379–382, 27 March 1997. See also A. Snelling, Nature Finally Catches Up, Journal of Creation 11(2):125–6, 1997. Carl Wieland, Stones and Bones, (Green Forest, AR: Master Books, Inc., 1994). A. Kerr, Pathfinder Tells a Geologic Tale with One Starring Role, Science 279(5348):175, 9 January 1998. Morton, Flatlands, New Scientist 159(2143):36–39, 18 July 1998. A. Austin, Excess Argon within mineral Concentrates from the New Dacite Lava Dome at Mount St. Helens Volcano, Journal of Creation 10(3):335–343, 1986. A. Snelling, The Cause of Anomalous Potassium-Argon ‘Ages’ for Recent Andesite Flows at Mt. Ngauruhoe, New Zealand, and the Implications for Potassium-Argon ‘Dating,’ Proceedings of the Fourth International Conference on Creationism, Creation Science Fellowship, Pittsburgh, ed. E. Walsh, 1998, p. 503–525. 这则文献收录了许多案例，其中有六例报导于：D. Krummenacher, Isotopic Composition of Argon in Modern Surface Rocks, Earth and Planetary Science Letters 8(2):109–117, April 1970; 五例可见于 G.B. Dalrymple, 40Ar/36Ar Analysis of Historic Lava Flows, Earth and Planetary Science Letters 6(1):47–55, 1969.大量案例也可见于 D.E. Fisher, Excess Rare Gases in a Subaerial Basalt from Nigeria, Nature Physical Science 232(29):60–61, 19 July 1971. A. Snelling, Radiometric dating in conflict, Creation 20(1):24–27, December 1997–February 1998. A. Snelling, Stumping old-age dogma, Creation 20(4):48–50, September–November 1998. Institute for Creation Research, Acts and Facts 27(7), July 1998. R. Humphreys, Reversals of the Earth’s Magnetic Field During the Genesis Flood, Proceedings of the First International Conference on Creationism, vol. 2 (Pittsburgh, PA: Creation Science Fellowship, 1986), p. 113–126; J.D. Sarfati, The earth’s magnetic field: evidence that the earth is young, Creation 20(2):15–19, March–May 1998. Vardiman, The Age of the Earth’s Atmosphere: A Study of the Helium Flux through the Atmosphere (El Cajon, CA: Institute for Creation Research, 1990); J.D. Sarfati, Blowing old-earth belief away: helium gives evidence that the earth is young, Creation 20(3):19–21, June–August 1998. Davies, Distribution of Supernova Remnants in the Galaxy, Proceedings of the Third International Conference on Creationism, ed. R.E. Walsh, 1994, p. 175–184; J.D. Sarfati, Exploding stars point to a young universe, Creation 19(3):46–49, June–August 1998. 另参见 How do spiral galaxies and supernova remnants fit in with Dr Humphreys’ cosmological model? Dr Russell Humphreys himself explains …. DeYoung, The Earth-Moon System, Proceedings of the Second International Conference on Creationism, vol. 2, ed. R.E. Walsh and C.L Brooks, 1990, 79–84; J.D. Sarfati, The moon: the light that rules the night, Creation 20(4):36–39, September–November 1998. A. Austin and D.R. Humphreys, The Sea’s Missing Salt: A Dilemma for Evolutionists, Proceedings of the Second International Conference on Creationism, Vol. 2, 1990, 17–33; J.D. Sarfati, Salty seas: evidence for a young earth, Creation 21(1):16–17, December 1998–February 1999.